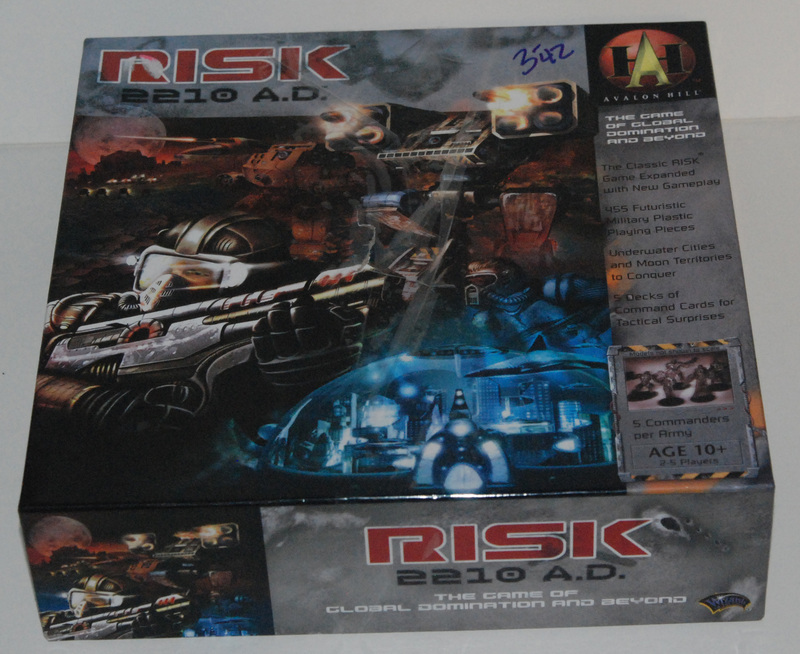 Introduced in 1959 by Parker Brothers, the board game Risk remains one of the most popular strategy games. 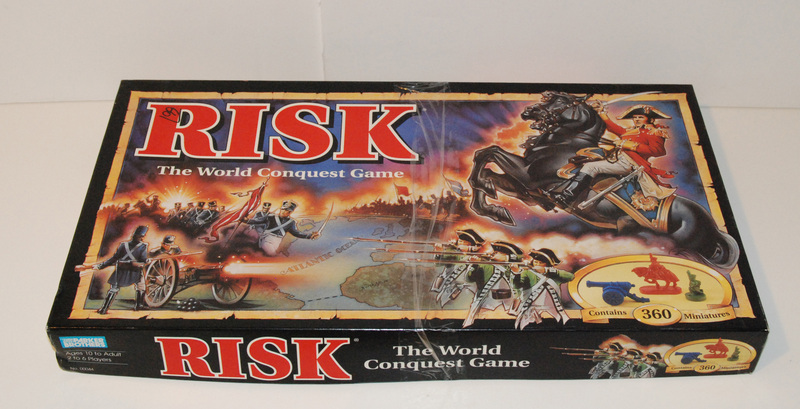 Because of the game’s popularity and the relatively new approach to creating versions of the game — the first non-standard version was Castle Risk released in 1986 — some of the non-standard versions command high prices if they are still in their shrink wrap. Here are a few of the ones I have come across while thrifting — only a few — like the 1975 version above — were in nearly new condition. This one maintains steady interest and value in the collector market. 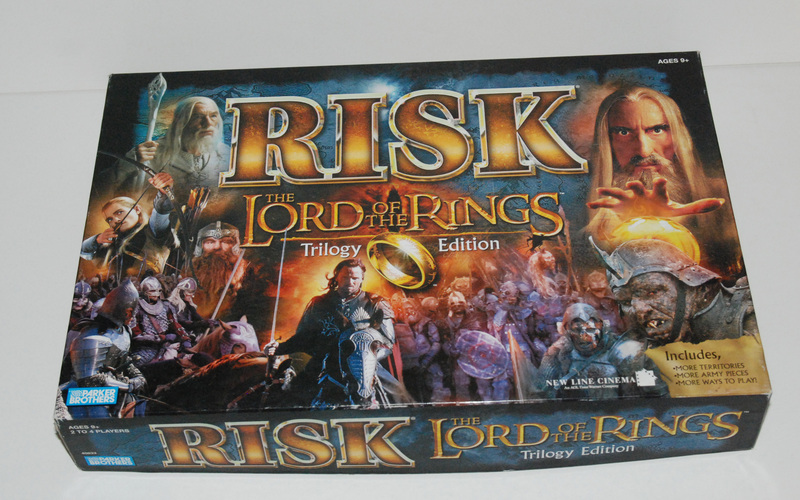 The company successfully combined two target audiences when it created this version — LOTR fans and Risk fan. Mint versions of the game currently list for around $100. 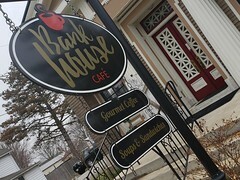 Although not a financial success for the company, it is the granddaddy of Risk alternate versions. Game players protect their castle on a map that features only Europe. This is another classic version and the miniature playing pieces are well designed. It seems to be a popular playing choice among Risk gamers. In my opinion, this is one of the neatest designs they have released. The futuristic game included land underwater and on the moon. The game won the Origins Award for Best Science Fiction or Fantasy Board Game when it was released in 2001. Although it doesn’t seem to surface as much, the 1999 Napoleon edition tends to get the highest price of all the Risk versions.